We are authorised installers and suppliers of Sonos. Sonos provides all the music you want in every room of your house. Expertly installed, we hide all cabling and provide a seamless music listening experience. We'll link your music to your home, wake in the morning and walk into your bathroom to your favourite tunes. Press the light switch to activate your favourites. Leave home and automatically turn all your music off. Why have all those ugly set top boxes, Sky, Virgin on show when you could have them stored away but available on every TV in the house in their full HD or 4K glory. 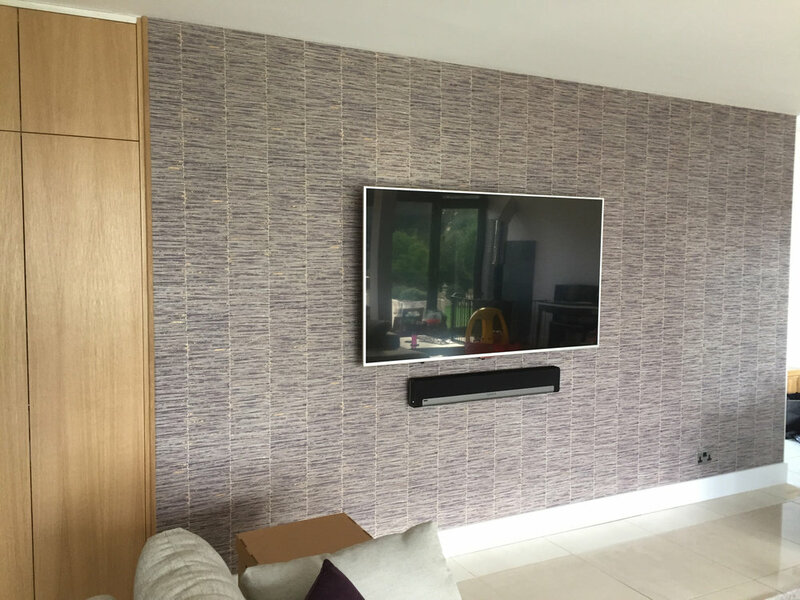 TV on the wall with no visible cabling. We provide a rock solid WiFi and cabled network in your home to enable your Apple TV, Amazon Firestick and Smart TVs to work seamlessly.